My last post was the completion of Chapter One, so here is Chapter Two for those of you who said you would like to keep reading my novel-in-progress, Alice in Wonder, or, The Storyteller. Remember that I am interested in what you want to know more about, and what ever else you want to say. Because I expect this to be a novel someday, I ask you to respect the copyright and leave it here on my Blog. 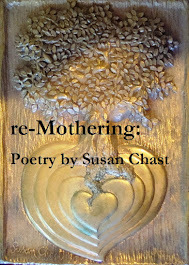 Copyright © 2012 S.L.Chast: Copying/using any part of this text is prohibited. Alice is a librarian in a library that is as white as cream and as vast as an ocean, and the only things that break up the whiteness are bookshelves and rules. It is neat as a pin and quiet as a stone, and Alice likes it that way. Before she leaves for the day, she shelves all the books left behind by the hourly staff, pushes in all the chairs, and smiles at it all as if to say, "I enjoyed you today! I'll see you tomorrow." Which is exactly how she feels. Storytelling is her specialty. She started the tradition of story hour at her library many years before and she had read to children daily ever since, even if it meant coming in on her days off. She loves pulling out the low stool, opening books wide for children to follow the images and to see the words and letters that made up the sounds she voiced. Lately, Alice has been performing her own versions of the old stories, and she likes this storytelling even more. Sometimes she tells children the Jungian symbols behind fairy tales, sometimes she explores the wounds and emotions inside characters, and sometimes she simply puts the children in front of her into the stories. For the younger children, she has made what she calls a storytelling apron with four rows of four pockets, each of which holds an object or toy animal, truck, or doll. She lets one child pick a pocket and discover the character, and even tell a story about it if he or she has one. Otherwise, she spins the yarn herself. In short, Alice is a gem. The library loves her, the children love her, the parents love her, and she? She seems to love herself as well. Alice's home is as neat as her library, but not half so populated. She lives alone in walls that are far from white, in fact their colors vary like flowers in a bouquet: rose pink here, daffodil yellow there, iris blue in another place, and tulip crimson as well. The place seems even more jewel-like because fake oriental rugs soften the pool-table effect of the green wall-to-wall. She has few furnishings besides the paperback books crammed into built-in bookcases on either side of a working fireplace. The long 3' by 4' mask of her Grandmother lives over the mantel while the round tile and wood box lives on it with her Mother mask in its womb-like interior. Alice made the sculpted Grandmother mask years ago as one of the huge street puppets in an anti-Apartheid rally. It remained unpainted, with eyes that seemed to look wherever Alice stood. In Alice's mind it continually watches and judges as her actual Grandmother had done with Alice's Mother, but Grandmother had been Alice's soul mate and Alice feeels no malice in the gaze. Alice had hung the framed art of her Grandmother and her Mother equally so that neither of the two could overpower the other. Many trees clustered on the daffodil walls, some with leaves and others without, in oil, pastel, pencil, wood print, etching and embroidery. One was actually a carved tree itself that looked like an old man or woman of the green as in old Irish legend. The trees were Alice's favorites. On the Iris walls were other etchings of towers and flowers, of men and women and of scenes in Mexico or in imaginary underworlds. The rose walls carried oil, acrylic and tile still-life squash and jars and African images and sun flowers and squiggles. On the tulip walls one mirror Mexican tin mirror flashed its light, while the windows sparked with crystals, stained glass and white lace. And here and there were photographs of performances and of people, including a few of Alice herself at 2 and 10 and 17 and 22 and 50. In one she holds a doll and stares into the camera pouting and angry. In one she is surrounded by books, and in another she is playing chess. In one she is getting married, and in the final one she is holding her great mongoose of a cat, Little Kitty. She has a double bed and a double dresser and a double couch and a double coffee table and two of everything else from cups to tables to pens to blankets. And Alice lives alone. Before she leaves home for the library each morning, Alice packs herself a knapsack for a lunch of raisin bread and cream cheese sandwiches, an apple, and a bottle of juice. She rinses out the cat's bowls and leaves her fresh water along with dry food and a half of a tiny can of Fancy Feast Whitefish and Tuna. She sets the alarm on her door and closes it carefully. She says good morning to the lilac trees and azaleas whether or not they are in bloom and heads out her gate, turns left, and walks to work thinking about the story for the day before taking a minute to notice God in something--her walk, her neighbor, the sky, something. The love for books is obvious, and what strikes me is she is lucky to be doing what she loves to do. Not many people has this option. Over-all a very well written chapter.